this outfit was from a while ago, when it was still blazing outside. 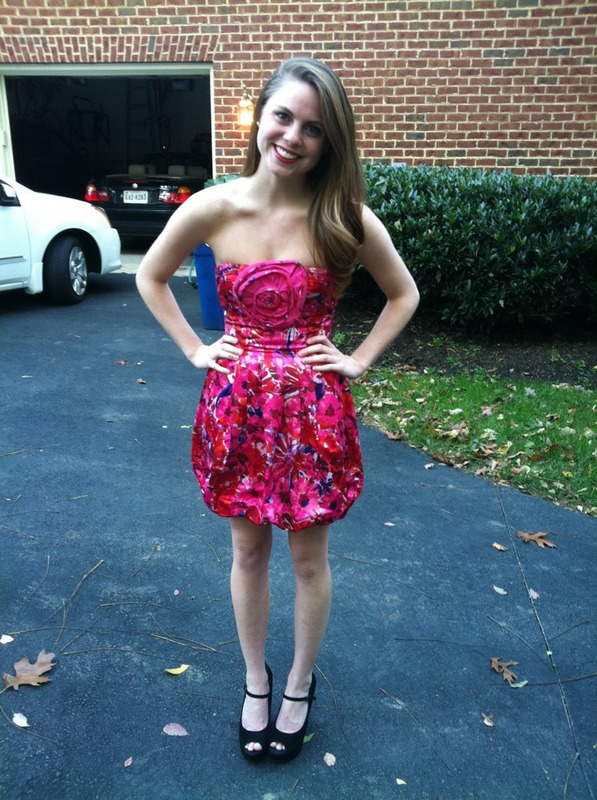 and as promised, here is a picture of my homecoming dress! I'll snap a better picture of shoes for you guys, because they are the best part! I'm off to NYC tomorrow for Teen Vogue Fashion University! I am beyond excited, and I can't wait to visit NYU and Fordham, shop, and eat. I'll update via twitter so make sure you all follow me while I'm in the big city..
such pretty dresses. love those heels in the last photo! your looking amazing in those dresses!